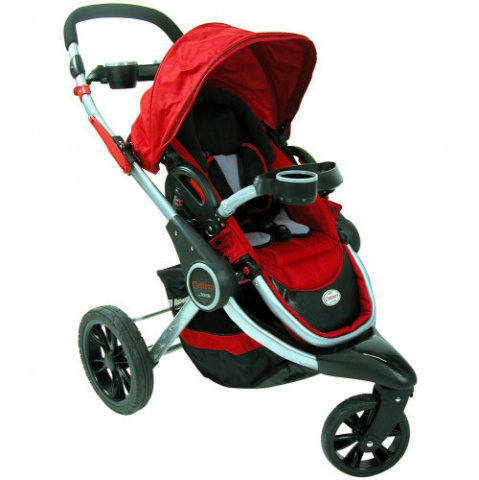 This is the summary of consumer reviews for Contours Lite Stroller [DISCONTINUED]. The BoolPool rating for this product is Very Good, with 4.40 stars, and the price range is $45-$85. The Contours Lite Stroller is a portable lightweight stroller, with 6-inch front single swivel and 8-inch rear wheels that offer a smooth ride. It comes in two colors - tangerine and tangelo, with a stylish & pleasing appearance. The multi position seat can be positioned from almost a 90 degree sitting, to a near flat recline allowing the little ones to rest comfortably. The height adjustable 5-point harness with strap cover is easily adjusted using a strap to secure the child however some parents have found that it can twist up easily. The Contour also has a large basket for ample storage space, a removable parent cup holder, and removable rotating child snack tray with a drink holder. It also features a 3-tier canopy that provides ample coverage against rain or sun. The convenient free-stand one hand fold gives parents a free hand and may come in handy while stowing it away at a restaurant or tight spaces. It is easy to push and steer it with one hand and takes bumps really well. It is packed with a lot of features and is easy to fold to get in and out of the car. 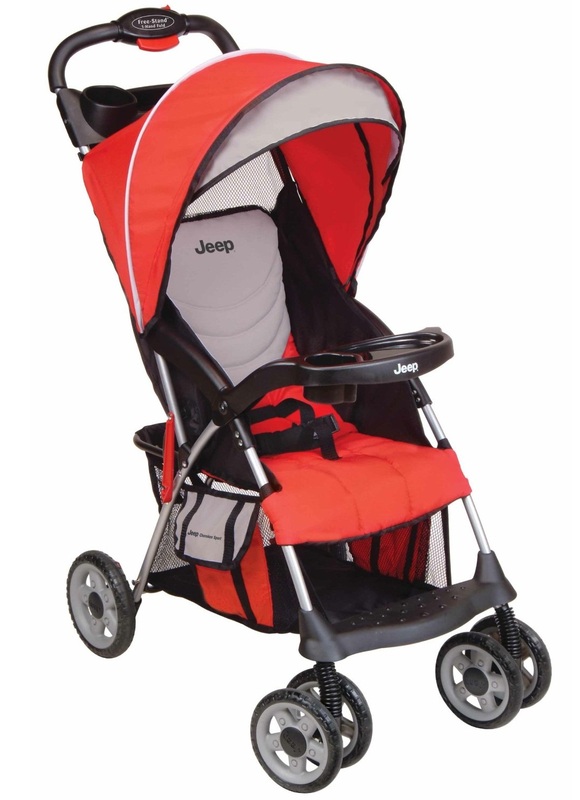 Some consumers have noted that it does not fold very flat and takes up trunk space and the cup holder falls off while opening and closing the stroller. A few users experienced that front wheels become squeaky and do not swivel easily after sometime. At times, the seat recline may be hard to adjust. 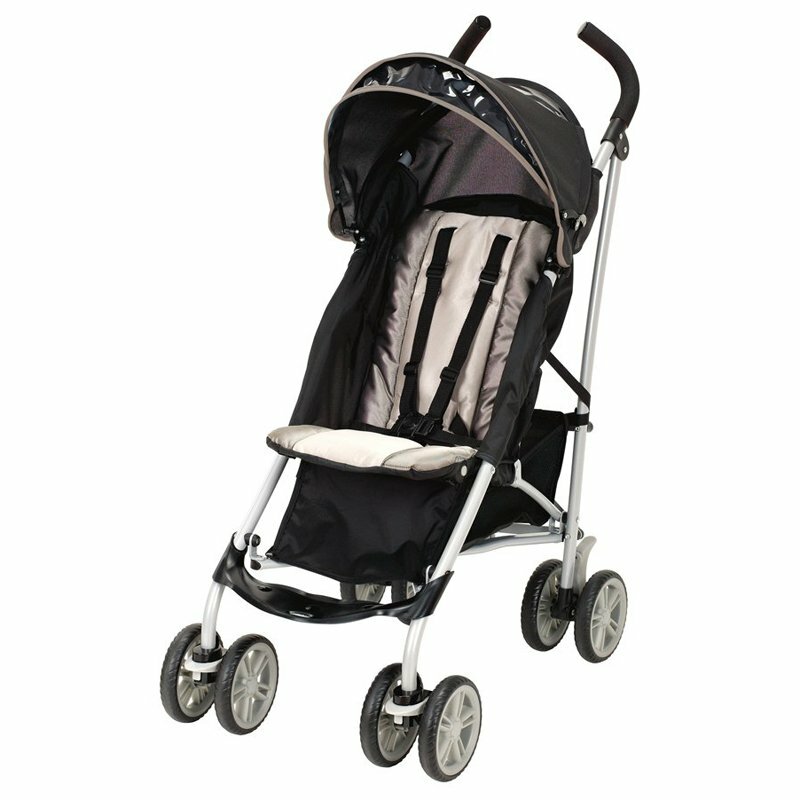 Overall, the Contour Lite is an affordable and durable stroller that is very easy to set up, use, and fold. It is lightweight, sturdy and comes in great colors. It turns easily with one hand, and stands when folded. 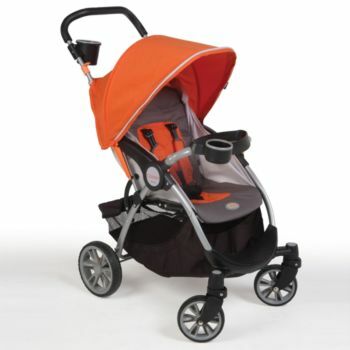 It is as convenient as the small umbrella strollers, but with all the extras of the big heavy and bulky strollers. Pros: lightweight, large basket, parents cup holder (although it's very small), nice looking, handles very well, folds easily. Snack tray & cup holder for my son. 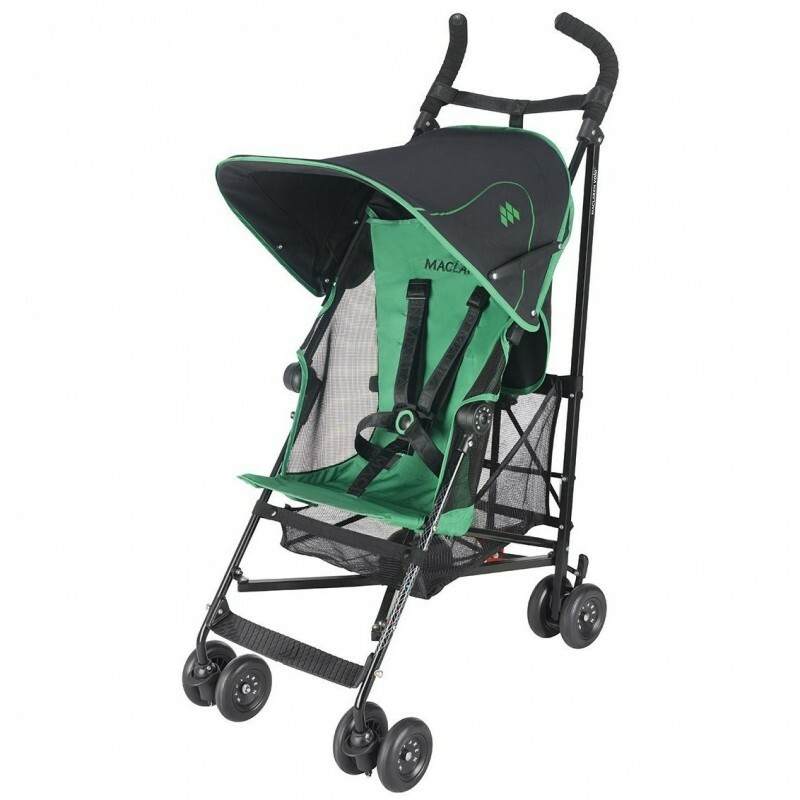 It's lightweight, folds up nicely, has mommy and baby cup holders, a tray for baby, lots of storage underneath, reclines, maneuvers much more easily than my umbrella stroller, yet it's light and folds up nicely. However, it does require two hands to fold up and the parent cup holder tends to fall off when folding and stowing. has a cup holder and tray for baby. But it steers well, looks great, has all the features I wanted (decent canopy, big basket, snack tray, lightweight, cute style) for a good price. The tray and cup holders are great, the storage basket underneath is big enough for most things and I can fold it up and carry it with one hand. Fully reclining or nearly full recline seat. Nearly full recline - Was so happy that the comfortable seat also reclined almost flat. Seat doesn't really change positions for reclining much, it's like a belt-strap reclining mechanisim, not a click-back reclining mechanism. It felt as if my 4 month old son was riding on a cloud; also, the seat reclined low enough for him sleep comfortably. The seat reclines or stands straight with an adjustable belt, and that seems pretty sturdy. hard to recline and unrecline seat. But, the seat recline a little difficult to adjust. Roomy seat that's seat belt to secure child. Our son falls asleep in it so it musty be comfy and the seat adjuster is easy to work to make the seat recline or be up right. The wheels are pretty large, but they aren't double wheels, so the stroller is quite hard to turn. The front wheels no longer swivel easily. Front wheels on this stroller broke just after 1 month of daily walks. After approximately three months, the wheels began to stick and not turn properly. We're looking at more compact umbrella strollers with four double wheels and slightly higher handles. The cheap front wheels seized up after about 4 days of rain. The stroller has some nice features: a cup holder, an easy to handle bar across the front with a place for snacks. Within a week, the wheels were squeaky. Soon thereafter, the front wheels started locking and they need to be kicked into place if you need to change direction even slightly. While crossing the street with my daughter the wheel turned and stopped the stroller from going forward. I wanted something with a basket, reclining seat, canopy, lightweight, easy fold, easy steering, cup holders, tray, and small enough to steer in stores. Folds easy and pushes fine. 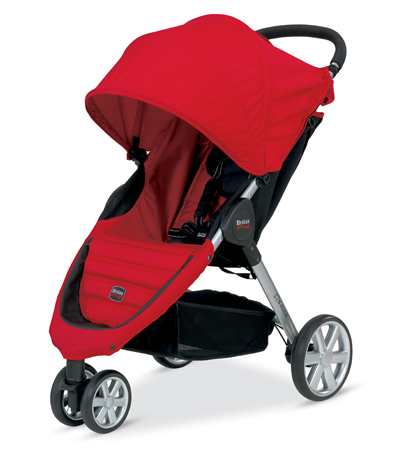 Easy, lightweight stroller and more sturdy than umbrella strollers for this price range. very lightweight and easy to fold and unfold. But, it's very lightweight and easy to fold up. 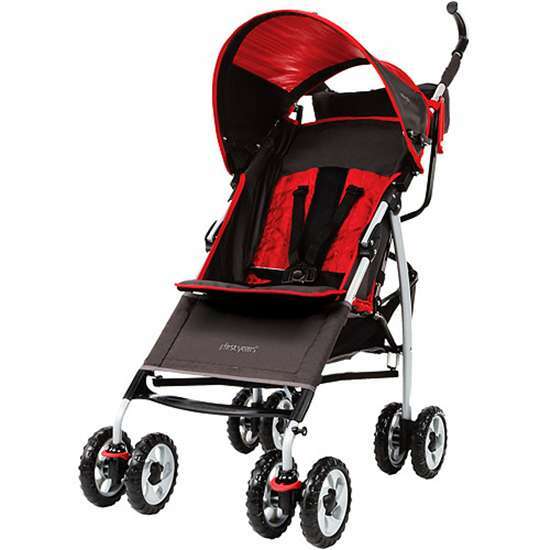 It's extremely easy to put together, easy to steer, lightweight and easy to travel with, comfortable for baby to nap it, cool color... just great all around. Very manuverable wheels, comfortable seat, secure and easy to use straps, ergnomic handle, fairly lightweight, and easy to collapse once you get the hang of the procedure. Easy to assemble, rolls smoothly, easy to fold (though when it folds, it's still pretty clunky, not exactly compact-- but better than the huge Jeep stroller we'd before). Very lite, lots of storage, easy to manuvier, and the Perfect height. Has a snack tray (not all lightweight strollers have a tray). I LOVE the snack tray. Pushes and turns with ease, very lightweight but has a big basket underneath and a cupholder/snack tray for baby. 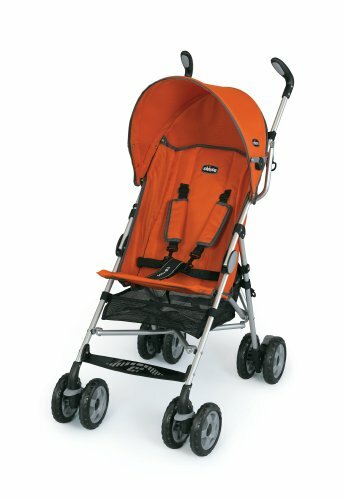 This's a great little lightweight stroller! I was on a quest to find the perfect in-between stroller...one that offered my 14 month old comfort, a snack tray, parent cupholder, storage for me and was lightweight and compact enough to leave some room in my trunk. The snack tray is perfect for my 19th month old. I'd to choose this simply because it's lightweight, easy to maneuver, has a 5-pt harness, child tray, parent cup, and a huge basket, and may I say, very stylish. The storage basket is huge! Love it , love it, love it. My granddaughter LOVES riding around!. 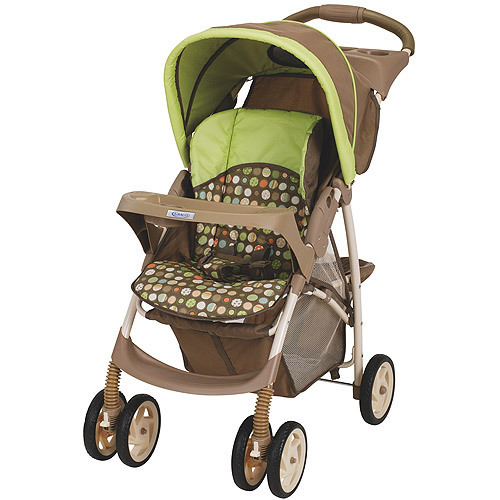 We love this stroller, it's easily maneuverable, lightweight, has good storage, provides decent sun protection, and reclines for naps. I love the storage on the bottom. Light weight and easy to push. This stroller is easy to assemble, easy to use, and very light weight. If you're looking for a light, easy to assemble, easy open & close stroller, with ample storage, easy roll, stroller, that'll fit your baby, infant or toddler as they grow buy this one. Very easy to put together, light weight for easy transporting, seat belt was easy on & off keeping a activity great grandchild in a safe seat. The stroller is nice, light and easy to push. It's light, easy to open, and close. Light and very easy to use and fold. It's light and easy to open and close. It's very easy to fold/unfold (with single hand! ), very light and durable. love the baby's cup holder which not many light weight strollers have. It's inexpensive, easy to push, easy to fold down, not too big, and comfy for baby. light, compact, easy to manouver, heaps of space to carry stuff underneath, looks cool, baby's happy and comfortable. My 4 months old baby sits perfectly fine. It's not a one-handed fold, but easy enough to do with the baby in my arms. Easy 1-hand maneuverability, reclines quite enough for the baby to sleep, shopping basket is big enough ... the only thing is that it's a bit short and you can't make normal long steps behind it. small sun shade for baby. The seat goes down almost flat, definitely enough for baby to nap.